I love to roll up my sleeves and commit head and heart. After all, building a cohesive Strategy or a committed Culture is not for the feint-of-heart. These are a selection of my most popular workshops which are always highly customized for your team. Reach out to discuss your business challenges and we’ll determine which Workshop will best unlock your organization’s ability and best build your organization’s capability. HOW CAN WE CREATE AN ADAPTIVE ORGANIZATION? The way we’re currently working isn’t working. Organization’s desperately need a new way to unleash the capacity within each employee and unlock the ability of their environment. A new way to understand exactly what is draining our people and stifling our culture from the high-performance they’re capable of. This engaging 1-day session is ideal for Leaders keen to build the capacity and culture of their teams and create a high-performing environment. HOW DO WE BUILD A PURPOSEFUL ORGANIZATIONAL CULTURE? Strong cultures are driven by differentiated values and consistent behaviours. Yet too often we fail to recognize and acknowledge that our emotions are the most powerful drivers of our employees. Leveraging the phenomenal Emotional Culture Deck methodology, this powerful workshop helps to identify the desired emotions that drive heightened employee commitment - and fuel winning cultures. Ideal for teams that are seeking to drive higher-performance and deeper employee commitment. HOW DO WE ACT AMIDST UNCERTAINTY & COMPLEXITY? 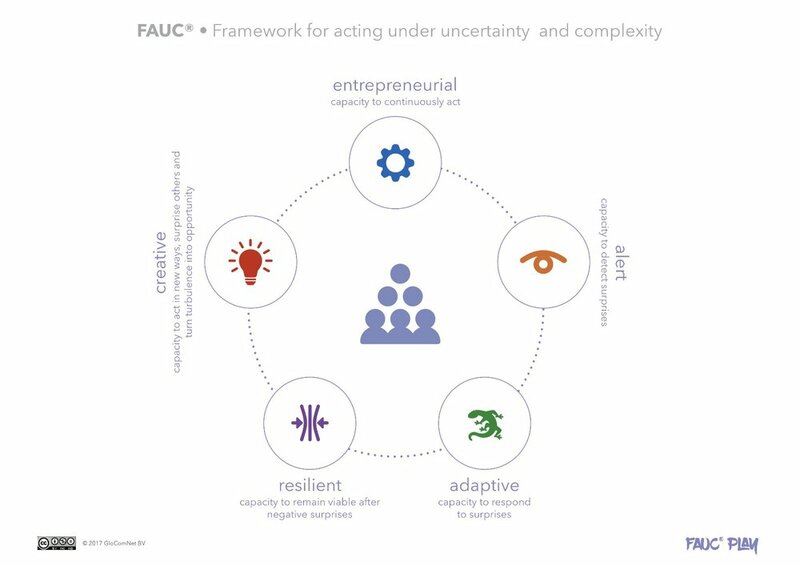 The term VUCA has become a cliche but there’s no debating that organization’s need to operate in increasingly uncertain and complex situations. However, does your organization have the capacity and capability to act under these situations? Built on the recognized FAUC (Framework for Acting under Uncertainty and Complexity) methodology, this highly interactive session allows teams to understand where they have strength and capacity for dealing with a VUCA world. This 1-day session is ideal for Executive Teams or cross-functional groups tasked with Strategic Planning or building Organizational Capability. HOW CAN WE DEVELOP A PURPOSE & VALUES-DRIVEN ENVIRONMENT? Research shows that organization’s with a clearly-defined purpose and galvanizing set of values and behaviours are more adaptive and more resilient. Many organization’s struggle to develop a differentiated Purpose and create a set of values and behaviours that do more than adorn the walls of their offices. This session is ideal for Executive Teams or cross-functional groups looking to instil new focus and new energy into their organization. And a renewed sense of commitment.